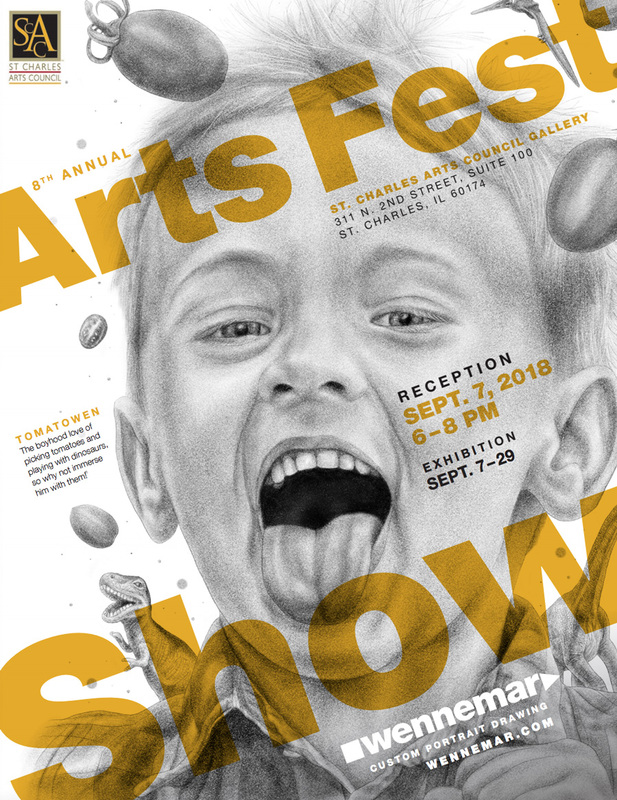 I’m honored to be selected for the St. Charles Arts Council (SCAC) juried 8th Annual Arts Fest Show at the SCAC Gallery. My digital drawing on display was drawn on an iPad with an Apple Pencil. “Tomatowen” tells a story of the boyhood love of picking tomatoes and playing with dinosaurs, so why not immerse him with them! 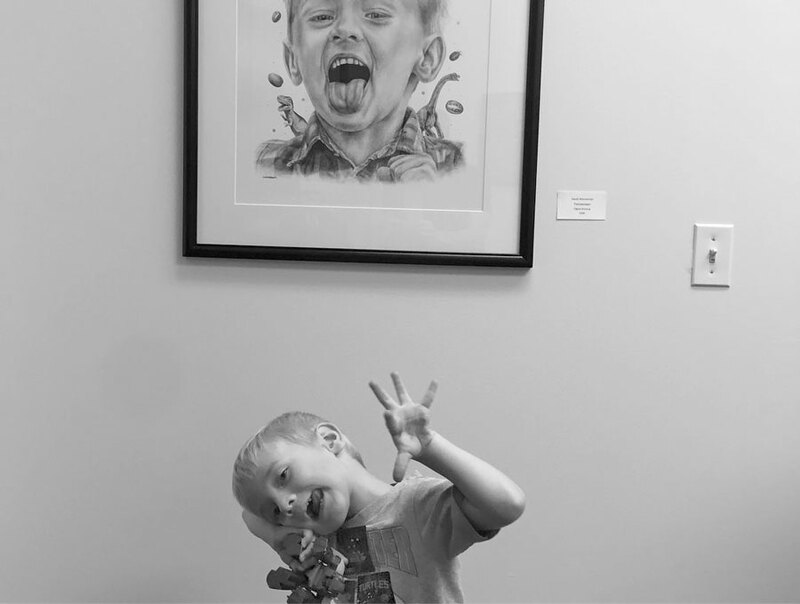 Many other artists and artist members have work in the exhibit that really give a sense of the artistic expression in the area.